The kids were eager to help out with the pantry challenge last week, so they made themselves a very luxurious snack of nuts, marshmallows, and dried fruit. To clear the pantry, you know. They cleaned out a hidden container of ice cream, too. And they offered to get to work on the candy as well…but I want that candy to last for a long, long time. We also ate a lot of healthy food from our stockpile. Not only is the freezer slowly emptying; my wallet is not emptying as quickly. It’s all good! Thanks to Jessica for inspiring a January Pantry Challenge. Awesome kids you have there! 🙂 Glad the pantry is still feeding you. I’d love to know some of the meals you put together, if you had a moment. 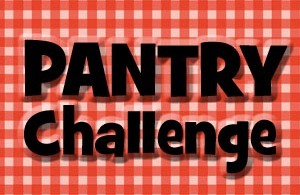 I’ll try to post that in next week’s pantry challenge. Thanks for the suggestion.